Crystal Palace talisman Wilfried Zaha has gone to reveal the mental battle he endured during his short spell at Manchester United five years ago. The Ivory Coast international, who couldn’t get his United career going, was shipped off to Cardiff City on loan in 2014. Zaha then joined his childhood club Palace, and has since become a real star. The forward has now accused the Mancunian club of failing to give him adequate support during his time at Old Trafford. He had joined the Red Devils in a £10m transfer in 2013, and was Sir Alex Ferguson’s last signing before he stepped down as the club’s manager that year. The versatile footballer was handed a mammoth five-and-a-half-year contract at United. 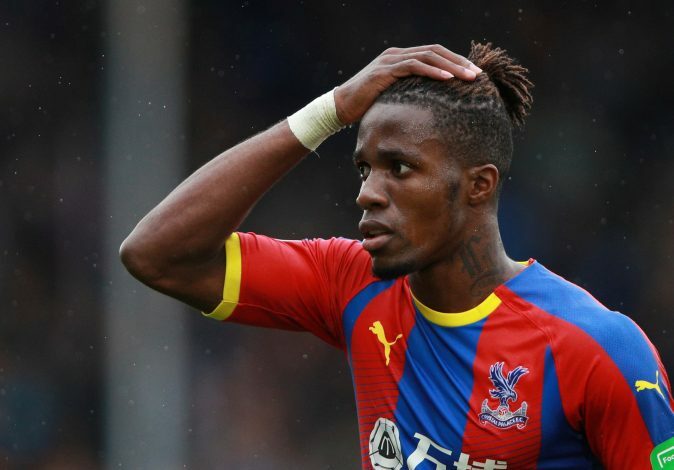 After making his debut under former manager David Moyes in the Community Shield, Zaha was never allowed to grow, and was shut down with just 2 Premier League appearances as a substitute. In an interview with Shortlist, the Eagles’ star stated that he suffered through depression at the Mancunian club, and described his life there as hell. “Obviously, getting to United isn’t easy, so not being given a chance is hard to take. I don’t regret anything because it made me stronger. I feel as though I can deal with anything now,” he said. He also had to deal with bizarre rumours at that time, which circulated news of him sleeping around with manager David Moyes’ daughter. “There were rumours that the reason I wasn’t playing for United was because I slept with David Moyes’s daughter, and no one attempted to clear that up. So I was fighting my demons by myself, these rumours that I knew weren’t true,” Zaha added.